Join us at the Paris Hotel and Casino! Welcome back to Las Vegas for a week of practical learning led by Gear Up speakers. Plan early for this wintertime conference. Our flagship event for many years, Royal Flush never fails to draw a record crowd and sell out rooms. Whether you’re all about the Vegas getaway or hitting the books before the holidays, Royal Flush will deliver learning and fun. This four-hour course will provide coverage of recent tax law changes that affect individuals, corporations, and partnerships including legislation, court cases, and IRS rulings. Tax professionals will come away with planning tips and what they need to know for 2019 and beyond. The course will incorporate planning considerations in the wake of the Tax Cuts and Jobs Act (TCJA). Where does a practitioner go to understand the complexities of dealing with technology in their practice? We will study the real-world issues of dealing with the adaption of technology to solve practice challenges. Is it time to take my practice into the cloud or is it just another thunderstorm? 2019 will be another year of challenges as the effects of TCJA play out with non-conformity in California. Many new proposals are on the table in California to increase taxes to fund free college for all as well as voter initiatives looking to completely change Proposition 13. New legislation, enacted and proposed, will be covered along with the annual refresher on LLC’s, residence requirements, FTB issues and much more. Optional session, Sunday, Dec. 1, 2019, 8:00 a.m. - 4:30 p.m. Optional session, Monday, Dec. 2, 2019, 4:45 p.m. - 6:30 p.m.
Save up to $235 with Premier or up to $393 with Premier Plus! 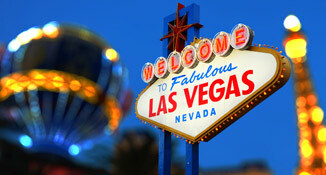 Head to fabulous Las Vegas for an exciting week of CPE and fun. Our flagship Gear Up event, Royal Flush is one of our most popular conferences. The conference is located at the Paris Hotel and Casino — be transported to the City of Lights with all the same passion and ambiance of Europe's most romantic city, with all the excitement of the entertainment capital of the world. Special room rate is $105 (does not include resort fees). Room rate available through November 2, 2019, or until hotel block sells out. Don't sweat it — The Paris Hotel has a very short distance between room elevators and the conference area. Call 877.603.4389 and mention Gear Up or SPTRG9 for 2019 reservations. Special room rate is also available via the hotel website.